Project: “ecoPOSITIVE – nature is important” is an innovative campaign focusing on how humans and nature co-exist in a city. The program proves that development of cities and new buildings can go hand in hand with caring for nature. Our surroundings are also home to many insects and small animals, and we show how to build good neighbourly relations with nature in a changing urban space. Objective: In the ecoPOSITIVE campaign, we show that, in a city, creating friendly living conditions should go hand in hand with care for the environment. The aim of the campaign is to reach people living in cities and draw their attention to both the needs of nature and the simple solutions in their immediate every day environment: residential complexes, parks, schools, kindergartens. Contact with nature is important for all and allows a balance in the daily life. organization of special open events to share knowledge about stages of life, development and proper feeding of insects, birds and small mammals and to promote ecological attitudes and good habits in the human – nature relationship, as well as building and fostering the relationships between residents and their surroundings. building hotels for insects, huts for hedgehogs, bird feeders and nesting boxes for birds, in order to create favorable conditions for animals to settle in urban space. cooperation with local partners, including urban district offices, associations, schools and the media. We are engaging communities, educating and encouraging to expand knowledge by creating favorable conditions for animals to settle in the neighborhood of residential areas. We are raising awareness about the coexistence of humans and nature in the city, especially among the youngest. We are building a reliable message and conviction that it is possible through small actions to influence our environment, which we use today, but we are creating positive solutions and teaching the future generation to care. 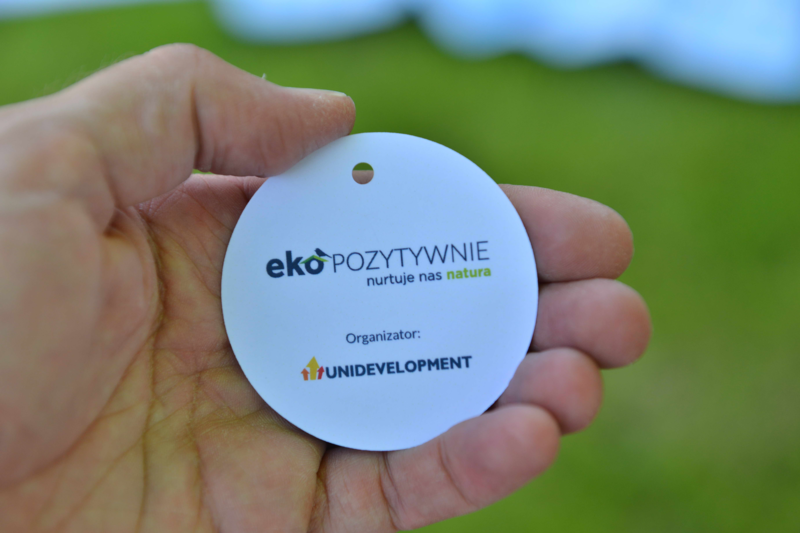 The ecoPOSITIVE campaign was initiated by Unidevelopment S.A in 2017 and is the first action of this kind implemented in residential areas among developers in Poland.